Tired of reading? Check out some of our videos! "James from Pro Tools Expert gets a full overview of the new iZ Technology RADAR system. Long considered the world’s finest digital audio recorder, RADAR now runs Pro Tools, natively." This is a video of the iZ booth at the 2015 NAMM show the Anaheim Convention Center. The video, shot by Barry Henderson, President of iZ was filmed at noon on Thursday January 22, and shows a walk up in Hall A, the now famous RADAR studio with Session Controller, 27" track view monitor, 27" touch screen monitor, and the iZ ADA II converter. 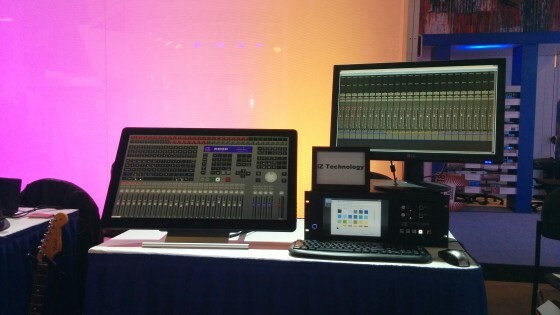 Today we launched RADAR studio at NAMM 2015! Watch this great video of Barry giving a tour of the world's first fully integrated DAW. Thanks to Audiofanzine! RADAR 6 debuts at AES 2012 in San Francisco! iZ's outstanding quality taken to the next level. Join Barry as he highlights the features of RADAR 6 and the revamped Classic 96 and Ultra Nyquist cards. iZ Technology shows some of their new gear the AES 2012! RADAR 6: iZ's brand new version of the world's finest recording system.